[Episcopal News Service – Austin, Texas] Tying up loose ends, moving the mission and ministry of the church forward and saying good-bye to half of its members, the Episcopal Church’s Executive Council on April 23 wrapped up its triennial work. In its last official act of the 2016-2018 triennium, council spent 45 minutes in executive session, reviewing its work during the last three years. “We got some stuff done. We faced some difficult issues. We faced them, we figured them out, we said our prayers and did some pretty darn good work,” he said. House of Deputies President the Rev. Gay Clark Jennings said that council and the church’s executive leadership team have clarified their roles and responsibilities, as well as their obligations to each other and the wider church. 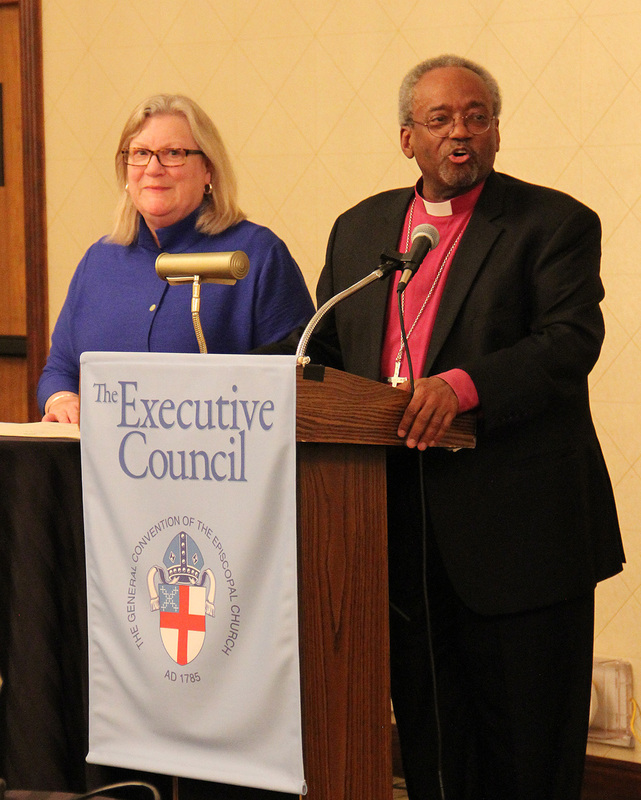 The Episcopal Church has a tradition of calling leaders who bring wisdom, spiritual centeredness and deep experience, said the Rev. Michael Barlowe, the executive officer of General Convention and secretary of the council. Curry and Jennings, he said, embody that tradition. Committee members discussed the fact that “many examples of incidents within and without the church remind us that the work is far from over,” George said. The committee said church leaders must recognize that “even with the best intentions we may insult or harm others without sensitivity to inappropriate language when we are engaged with good works,” George said. She returned to her seat amid a standing ovation. The Executive Council carries out the programs and policies adopted by the General Convention, according to Canon I.4 (1). The council comprises 38 members – 20 (four bishops, four priests or deacons and 12 laypeople) elected by General Convention and 18 (one clergy and one lay) elected by the nine provincial synods for six-year terms – plus the presiding bishop and the president of the House of Deputies. In addition, the vice president of the House of Deputies, secretary, chief operating officer, treasurer and chief financial officer have a seat and voice but no vote. Thus, 19 members of council will officially finish their six-year terms during General Convention this July. Each bishop, deputy and alternate deputy must pay a $600 registration fee, in addition to their lodging and transportation costs. The Rev. Nathaniel Pierce, outgoing council member, noted that council had passed a similar resolution, albeit for a smaller amount, early in 2015 to help cover such costs for the last General Convention. Council needs to consider what he called “the systemic issues” that will continue to prompt this stop-gap funding. “I, for one, am ashamed that folks have to beg for this money,” he said. Outgoing council member Nancy Koonce said that the Joint Standing Committee on Finances for Mission (FFM) has urged its successors to consider this dilemma. 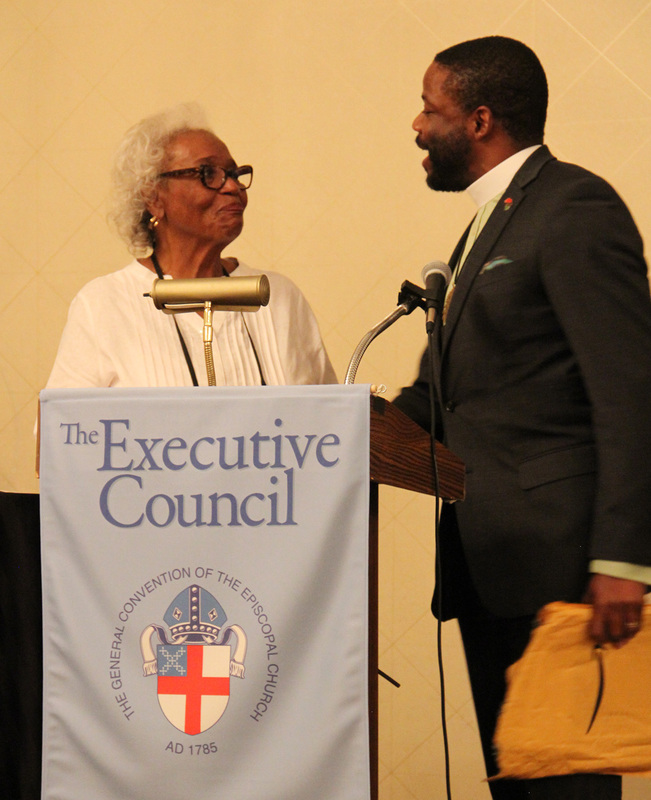 Barlowe agreed that while those entities have been “gracious” in asking for this money, “we shouldn’t constantly have to rely on their graciousness.” The issue, he said, goes to the root of the church’s polity about broad participation in policymaking bodies. He said the council’s executive committee will be considering the issue between the end of the upcoming General Convention and the beginning of council’s next meeting in October. The church’s Standing Commission on Governance, Structure, Constitution and Canons called in its Blue Book report (beginning on page 402 here) for a task force to reshape the budget process. “The church is mired in a budget process that does not make enough time available for input by the church at large prior to General Convention,” the commission said. However, when FFM met together April 22 with council’s Joint Standing Committee on Governance and Administration for Mission, the members agreed that it made more sense to address the issues involved immediately. * The council heard good news about the work of its Assessment Review Committee. The committee has been talking to about 18 dioceses that do not currently pay the full amount of the assessment or who anticipate asking for a partial or full waiver in 2019. The council’s draft budget, which forms the basis for PB&F’s work at General Convention to craft the 2019-2021 budget, includes a line item reserving $5.9 million for such waivers. Thus, an anticipated reduction in the requested waivers’ dollar amounts would mean that unused money from that reserve could be available to help fund other budget line items. The council established the committee in early 2015 ahead of General Convention that summer making mandatory the current voluntary diocesan budgetary asking system for the 2019-2021 budget cycle. Each year’s annual diocesan giving in the three-year budget had been based on a diocese’s income two years earlier, minus $150,000. Any diocese that cannot or will not pay the soon-to-be-required percentage of its annual income must ask for a partial or full waiver to avoid any penalty, such as not being eligible for church-wide grants. The policy includes details about availability and consumption of alcohol. Council’s action came at the end of a meeting during which the members heard Curry summarize the Commission on Impairment and Leadership’s findings and recommendations. 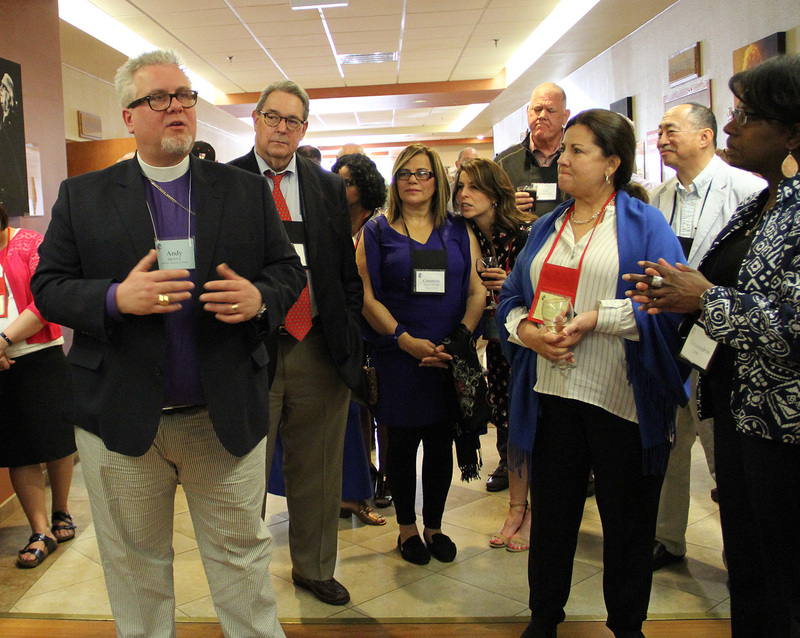 * Council member Polly Getz and Diocese of Utah Communications Director Craig Worth invited the council to help them beta test a new website designed to help educate the church on its Title IV clergy disciplinary process. The site will debut to the public during General Convention this July. Episcopal News Service coverage of that presentation is here. Summaries of all the resolutions council passed at this meeting are here. 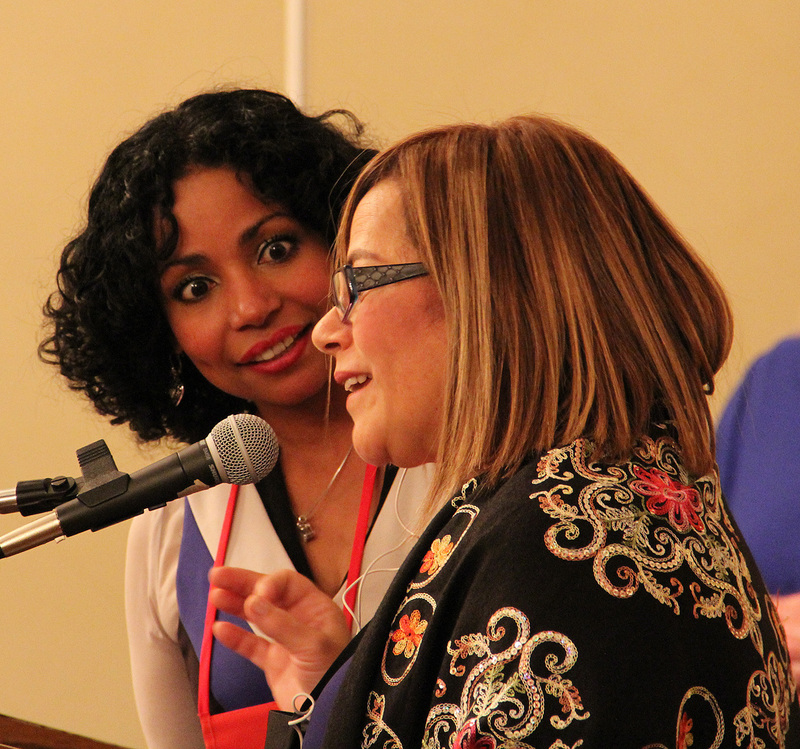 The April 21-23 meeting took place at the Wyndham Garden Austin hotel.